A timely and deeply informative article. Fixed interest is never as exciting as equities (until equities tank), but so important from an asset allocation perspective, especially in this late recovery part of the cycle. 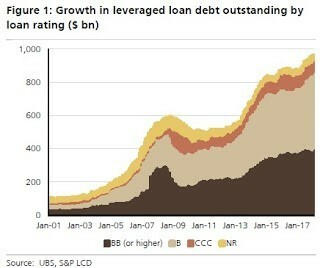 I wasn’t aware of diminishing credit quality in global debt markets in addition to the headwind of rising rates. Hard to over emphasise the importance of this stuff to any investor or superannuant who thinks they’ve already de-risked by parking a significant chunk of their money in high yield fixed income. It is the global funds in this category that have been among the best performers over the past 5 years. Check out the comparison tables on ASX mFunds and you’ll see what I mean. This invariably draws the attention of new money looking for a safe haven with decent returns. I hope I understand you correctly Jonathan. Pay attention to the average duration and credit quality of any fixed interest allocations in your portfolio, as it may be of critical importance to protecting your nest egg right now. It creates a dilemma however when your parents ask; “Where’s the best place to put $100k right now?”. Answer “I don’t know”. 2% in the bank still. REIT’s in an expensive real estate market: maybe, maybe not. Bond proxies at risk, and now the bonds themselves. Thank God I’m an equities guy. You’re not supposed to feel safe. Thanks Ron, it is late stage for credit globally and a time to be careful with all asset classes. 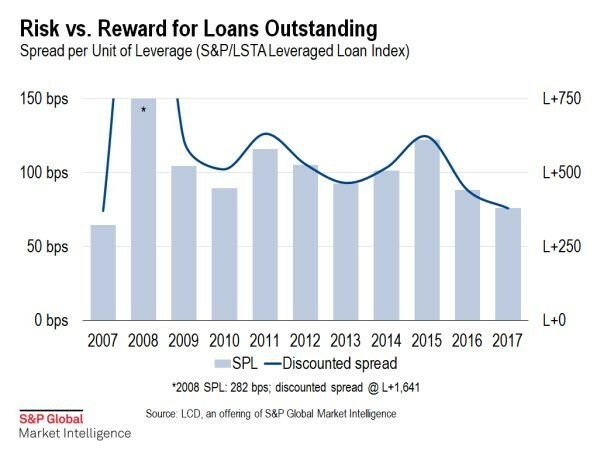 If credit markets do suffer a downturn, highly leveraged equities will follow soon after. Centro, Allco, Babcock and Brown, Rams are some examples from last time. Jonathan, my understanding that there has been a big growth in new high yield markets such as Europe and Emerging Markets. Do you see the same issues here as you have outlined in the US? Thanks James. Europe, Asia and Emerging Markets have all seen a decline in lending standards since 2009. 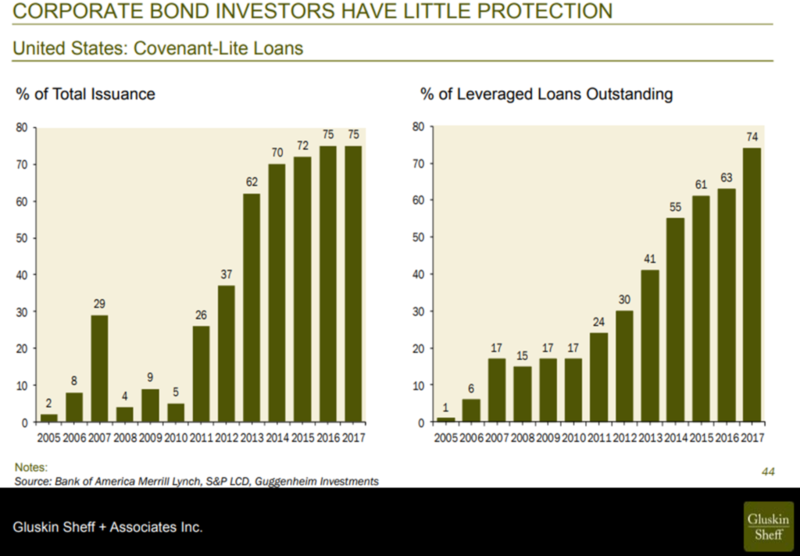 Cov lite lending in Europe is not far behind the US. In Asia, many markets remain overbanked and China continues to be on a borrowing and malinvestment binge. Venezuela, Argentina and Turkey are EMs in tricky situations. Well where would be the best place to put $100k now , considering the state of the nation. Hi Ross, in the second last paragraph I've written what I'm doing for my clients which could be a 5-10% allocation across a diversified portfolio.